Here comes New Year's Eve... would i wear make-up, a dress in polka dots print, prepare coins making sure I have them in my pocket and jump really high when clock strikes at 12 ? Well, those were the times that all I have to do was to make sure I welcome another year with glam as they say so I will have a full year of beauty, prosperity and goodluck! But now, all I was thinking was my grocery list and how am gonna prepare food for the three of us plus my B's ate who is taking good care of him. Well, I better enjoy and welcome this coming year with a positive outlook in life (than hating my not-so-good sked). Appreciating what I have and being continously thankful for family's good health, work and blessings leading us to a Happy 2011.
happy new year to you. wish you and your family a prosperous new year! hi, Happy new year!!! sarap ng carbonara. wishing more opps to come. Puyat ka tapos may work pa bukas. 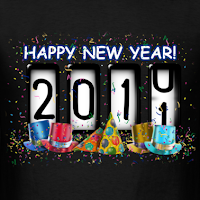 Happy New Year po and have a blessed 2011. 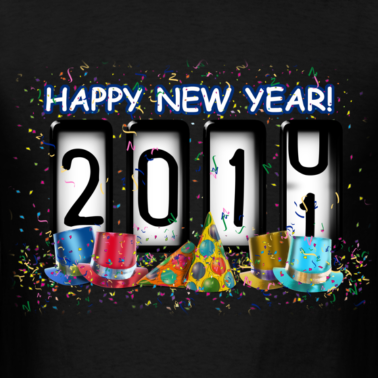 Happy new year =) all the best sa tin bloggers!